No matter the acreage or square footage, having a beautiful lawn is a rite of passage for many homeowners. Between the weeds or crabgrass, drought or flooding, your landscape is faced with some tough enemies. It will take an expert or highly committed and passionate homeowner to provide the lawn care needed to keep your lawn green and lush. There are few tips to start you on the road to lawn success. Rome wasn’t built in a day, and neither will the perfect landscape. It will take hard work, a lot of sweat, a hopeful and expectant attitude and eye for detail. Simply mowing your tall grass won’t it encourage it grown thicker and with deep color. Keep your blade at least 3” high when you mow, and always mow at least once a week. The sharper your blades, the cleaner the cut and less damaging it will be to the remaining grass. Grass seems to naturally grow green, but gorgeous color is no accident. Deep green grass requires a blend of nutrients supported naturally throughout the ecosystem for consistent color. Adding minerals or supplements at random will provide random results. Maintain the right conditions by keeping a soil PH of 5.5-5.7. Fertilize only when your grass is growing; dead grass can’t be revived just by fertilizer nor will it support growth in damaging environmental conditions. Aerate and over seed your property yearly. Much of the work required for a beautiful lawn depends on consistency. Check your grass regularly for conditions that would stunt growth. Aerate your soil to allow fertilizer, oxygen or water to reach the root systems. Monitor the moisture and water if needed. You need a plan, and you need to see it through. This may seem very overwhelming and impossible, but there is a solution. 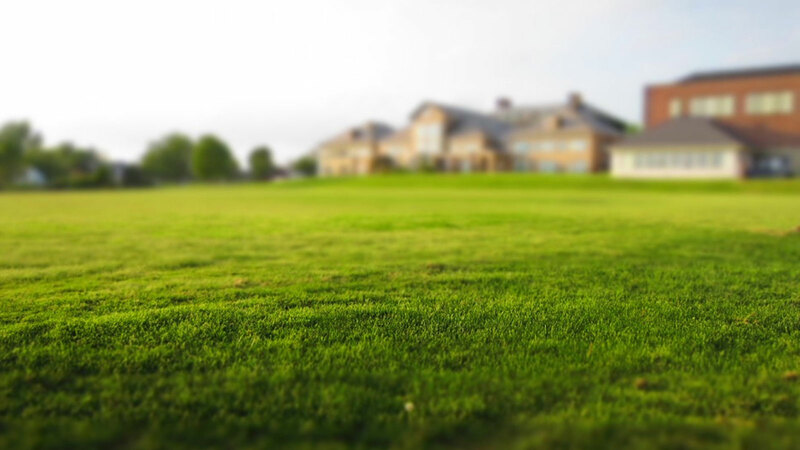 Organic Lawn Care Services has assisted dozen of homeowners with creating a visually stunning property through their expert lawn care. Reach out to their team and find out how they can help you achieve the lawn you desire.